. 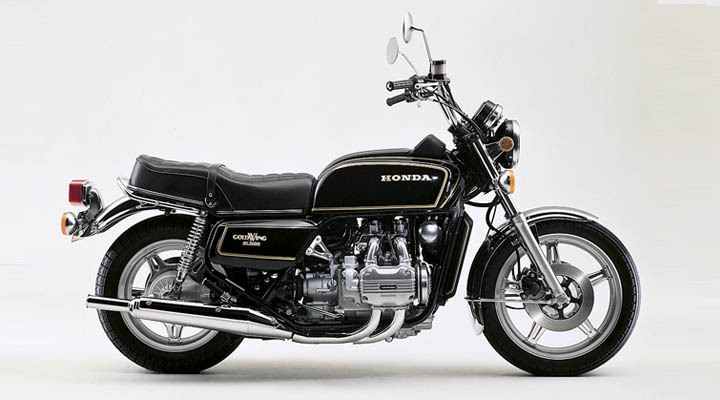 The Honda Goldwing first saw the light of day at the Cologne Motorcycle Show in October 19 as the flat-four cylinder, 999cc GL1000. 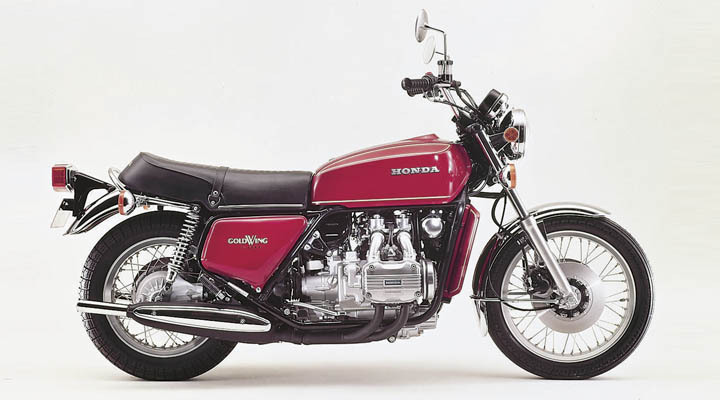 While this first production version of the now famous Goldwing was ultimately deemed to be a success (it was after all the birth of a legend), it's place in the world of motorcycling was not entirely cast in stone at the beginning. 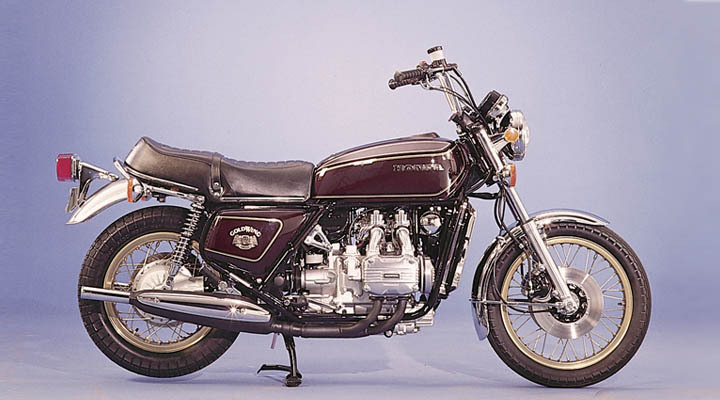 Part of the reason for this was the fact that the GL1000 didn't really fit properly into any particular motorcycle class, even though it was officially tagged as a tourer. Weighing in at 584lbs dry, it was far too heavy to be called a sports bike and the upright sitting position also helped to kill of any such sporting pretensions. 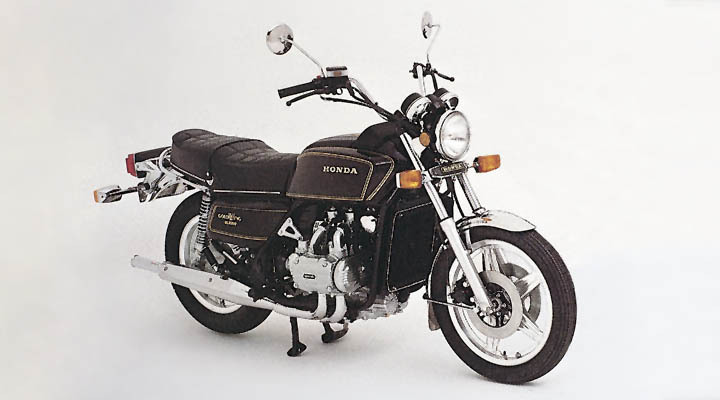 The total absence of touring kit fitted as standard didn't help the official touring image either, although Honda did offer a top fairing as an accessory throughout the production life of the GL1000. 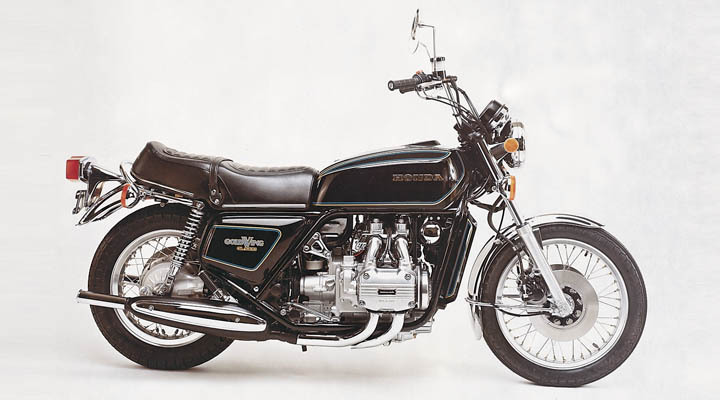 Nevertheless and in spite of all the confusion about the Goldwings role in life, the GL1000 proved to be a very reliable motorcycle, quite capable of going very long distances without missing a beat and after a while the aftermarket fairing & pannier suppliers started to cater for the requests of those who wanted to use the GL1000 for more than just popping down to the shops or Sunday morning posing at the local meet.